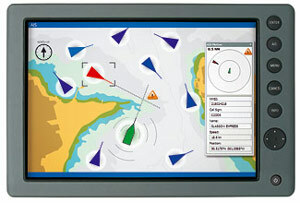 Seminar will include demonstration of installing and using AIS with Open CPN Navigation Software on a limited budget. AIS integrated with a chartplotter or multi-display, with overlaid electronic chart data, displays an icon for every significant ship within VHF radio range, each with a velocity vector (showing that vessel’s speed and heading). Each ship icon reflects the actual size of the ship, with positions accurate to GPS precision. By “clicking” on a ship mark, you can learn the ship’s name, course and speed, classification, call sign, MMSI, and other information. Maneuvering information, closest point of approach (CPA), time to closest point of approach (TCPA) and other navigation data is also available. Information previously visible only to the Vessel Traffic Service is now available to every AIS-equipped vessel. The Automatic Identification System is a digital VHF radio-based transponder system that can prevent collisions, and can protect your boat from being run down by a huge, fast moving ship. It’s like digital radar with precise position information. AIS uses GPS, VHF radio and sophisticated digital processing to automatically communicate between vessels without any operator interaction.